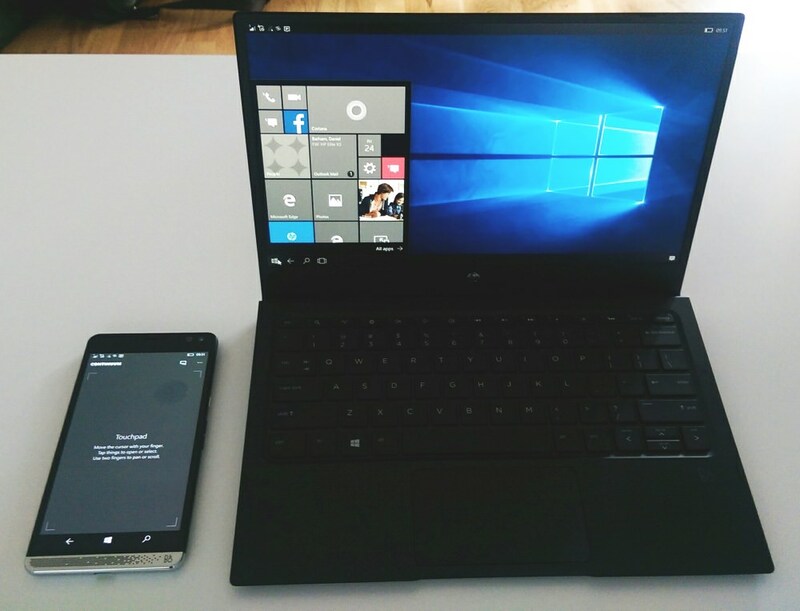 Rafe and I were fortunate to spend some time recently with the HP Elite X3, its desk dock and lapdock. 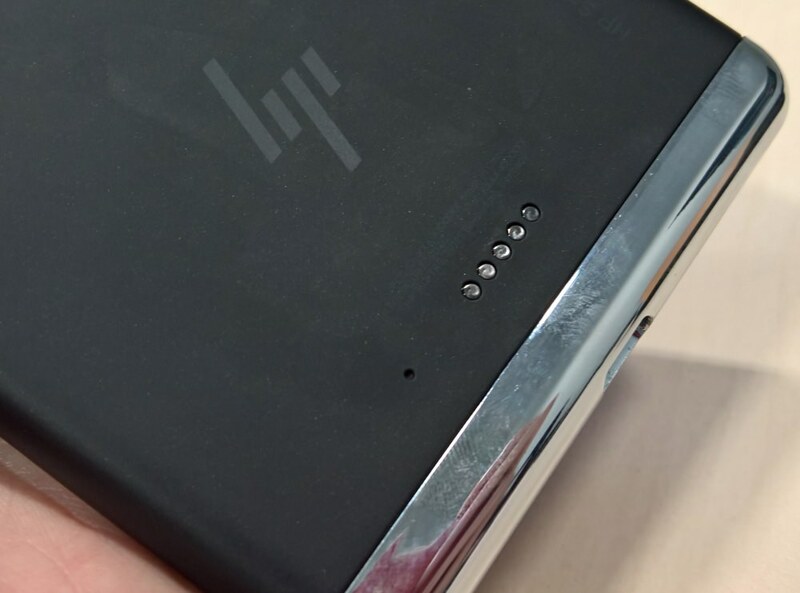 The phone itself was near final fit and finish and seemed almost ready for retail, ditto the desk dock, while the HP Lap Dock was a genuine prototype, but then this isn't scheduled to ship until (at least) a month after the Elite X3 itself. 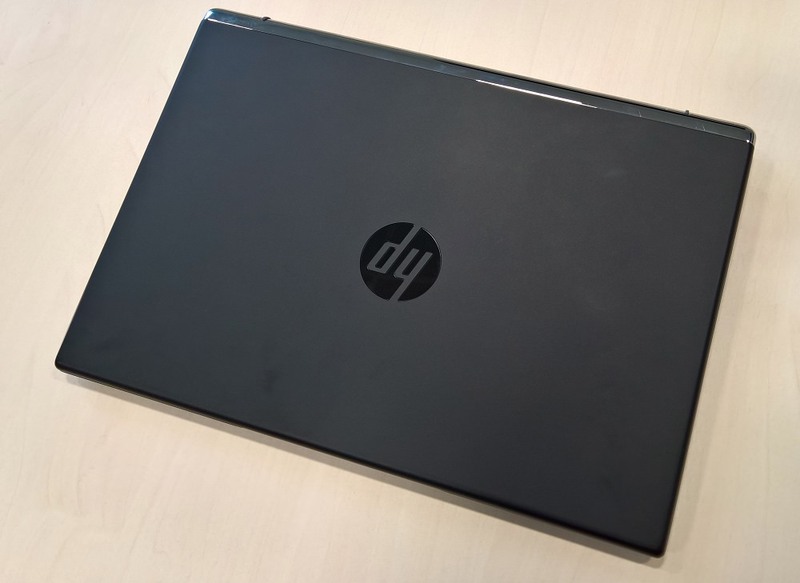 Read on for our first impressions of this 'evolution' in computing from HP. 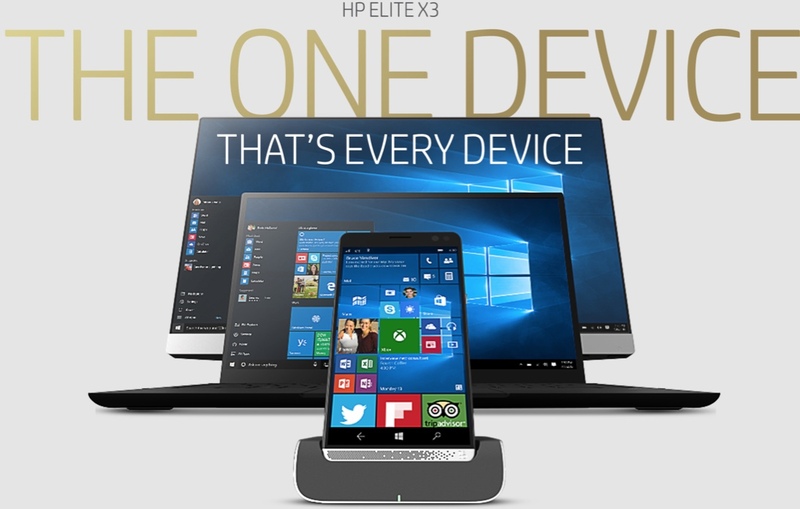 Launched a few months ago, the HP Elite X3 is part of a new vision for computing, an 'evolution' of everything that's come before. HP really does seem to have taken Microsoft's Continuum and started running with it in a big way. Rounding off their line-up of servers, workstations, laptops, all-in-ones, hybrids (etc.) comes this new idea that has the potential to encroach on some of the other form factors, while filling in the critical 'phone' part of HP's product portfolio. It's early days, of course, Windows 10 Mobile itself is still being polished, and critically the Redstone builds ('Anniversary Update') are still in Insider/beta testing - the Elite X3's Continuum experiences will depend on this, at least as I see it, in terms of happy end users. 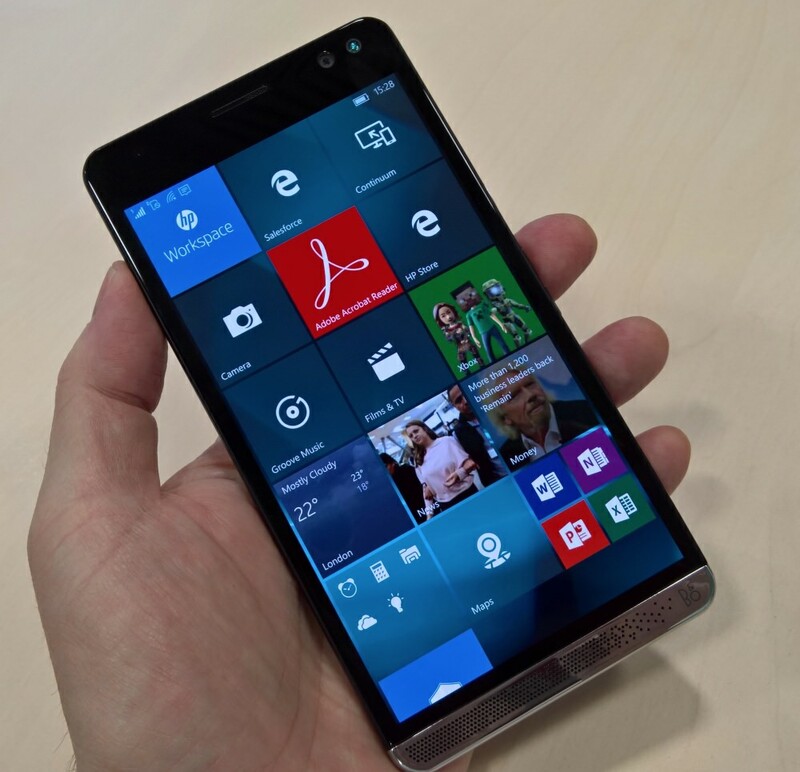 Interestingly, the HP Elite X3 will be shipped with Threshold, the current 'production' version of Windows 10 Mobile, and there will then be a (production) OTA update to 'Redstone 1' by the end of September, at which point the Continuum experience will be more rounded - and this will tie in better with availability of the HP Lap Dock (see below). Elite X3 units won't have Redstone 1 builds factory-flashed until the end of October. The idea with the Elite X3 is that it's the 'only device you'll need'. You work on it while truly mobile, dock it and work from a large secondary display/monitor via Continuum when at a desk, and via the HP Lap Dock, also via Continuum, when somewhere that you can sit down. All the all the while your applications and logins, your documents and state, seamlessly work across phone and the larger displays. Now, so far this is relatively familiar territory, even if all the hardware is very new (see below), but HP go an extra mile with HP Workspace, aimed at getting mobile employees running Windows 32 and 64-bit applications via a virtualisation UWP and Continuum. I should mention that HP Workspace wasn't ready to be demonstrated yet, but then it's very much a corporate thing (i.e. needs an IT dept to provision) so in terms of immediate interest here on AAWP it can be left as something for the future. We did ask how practical it would be for individuals and small businesses without 'IT depts' to use HP Workspace. The person/company would 'work with HP professional services' to provide the application files for virtualisation and list of employees (etc.) that they want to deploy them to. The HP professional services team then takes care of the rest and ensures these application virtualisations are being deployed via HP Workspace appropriately. * Oh, and I'll get the elephant in the room out of the way early on - we tried a Lumia 950 XL with the HP Lap Dock and it worked fine wirelessly and over USB Type C, as you might expect since Continuum is Microsoft's baby and the same on both handsets. The Elite X3 will only come in black - which is good, since that's the 'proper' colour for a smartphone(! ), as befitting its use as a business tool. The use of plastics throughout should make the X3 pretty solid and durable - almost 200g feels hefty but not unmanageable. The chromed speaker section is either classy or cheap, depending on your cosmetic preferences, it houses the bottom Bang & Olufson speaker - there's a partner up under the top earpiece slit. 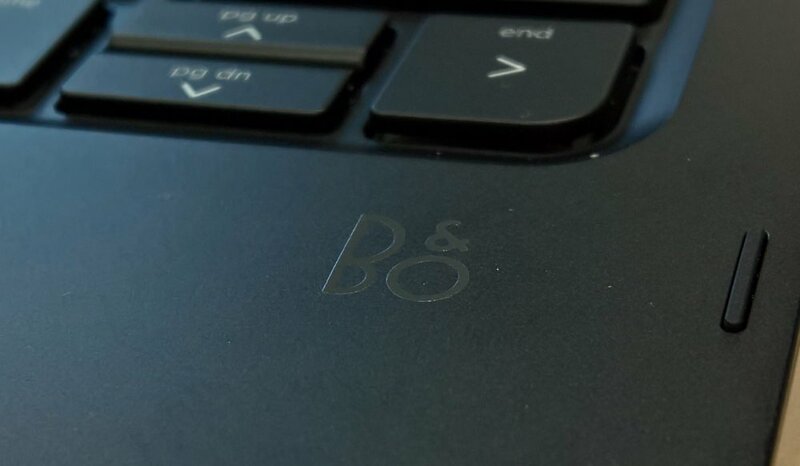 My guess is that B&O wanted more design featuring than just a small logo, so had some input in making the front of the phone 'different' in terms of speaker expectations. In use, the stereo front facing speakers were pretty good and something of a revelation in the Windows Phone/Windows 10 Mobile world, though it was hard to judge fidelity in a relatively noisy air-conditioned environment. 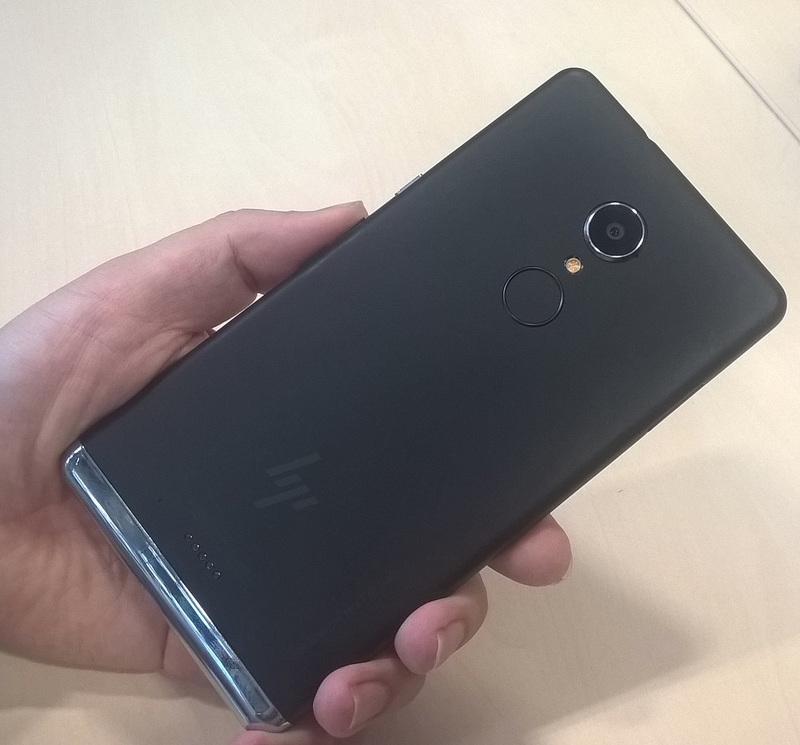 The back of the Elite X3 now has a industry standard fingerprint sensor (possibly the same component as on the Google Nexus 5X and 6P) - this wasn't present on the launch demo units. In use, you choose which biometric authentication system you want to use in Settings, though I do wonder what whether it would be possible to have both iris recognition and fingerprint sensing active at the same time. I guess we'll find out in due course. Down at the bottom of the matt black back are five little 'pogo pin' connection dots. These are positioned such that 'smart jackets' from third parties (none from HP) can piggyback onto the Elite X3 for vertical applications - think Health, Retail and Field Services applications. Given the ruggedness of the X3 (MIL-STD-810G approved, so withstands repeated drops from 4ft, plus the IP67 rating), the use of smart jackets by big companies to send employees out into the field could be a large part of the X3's mission and success. Salesforce is the big one here, at least for the target market, with a UWP that is just as happy on the phone screen or on a larger Continuum display, letting its users keep track of prospective customers and their needs. 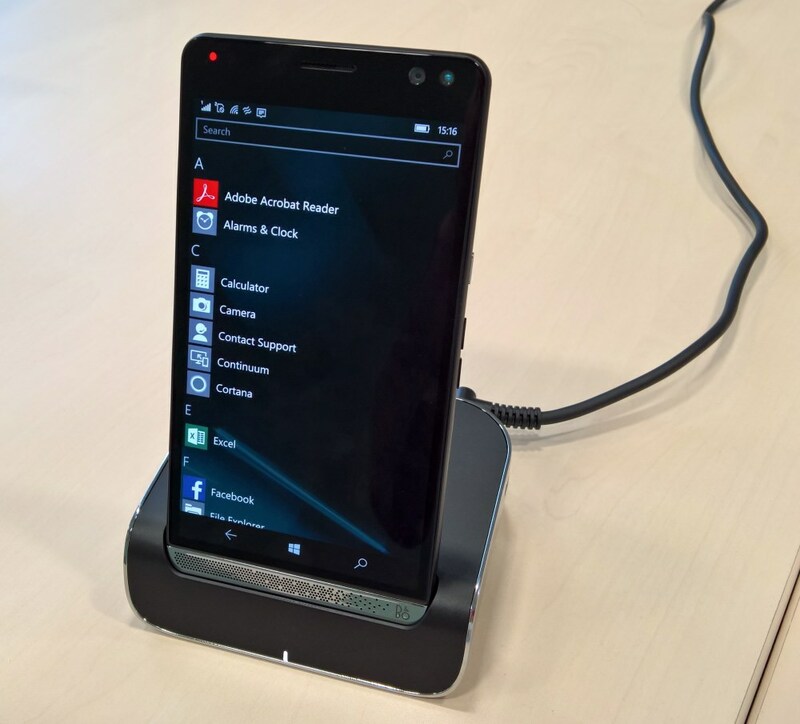 Although the HP Elite X3 will be available to anyone (along, initially, with the Desk Dock, shown below), for most enterprise use cases the relevant IT department will doubtless customise the application list and Start screen slightly, adding company UWPs as needed. In addition, there will be a special 'HP recommends' section in the standard Store application on the Elite X3, including some of the above and presumably much more. 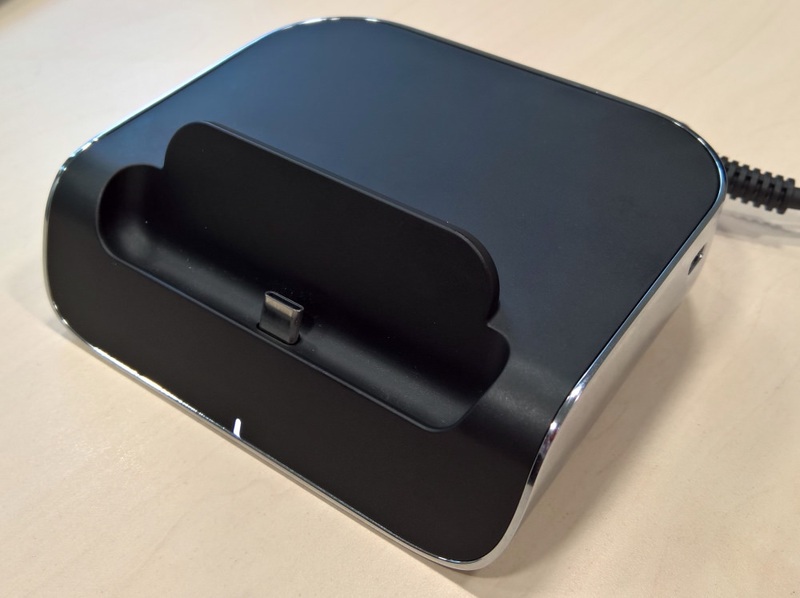 The Desk Dock is analogous to Microsoft's Continuum Dock, except that the extra step of wiring in the phone to the dock via USB Type C has been eliminated. You just pop the Elite X3 on the dock and you're connected. From left to right, above, there's DC power (i.e. 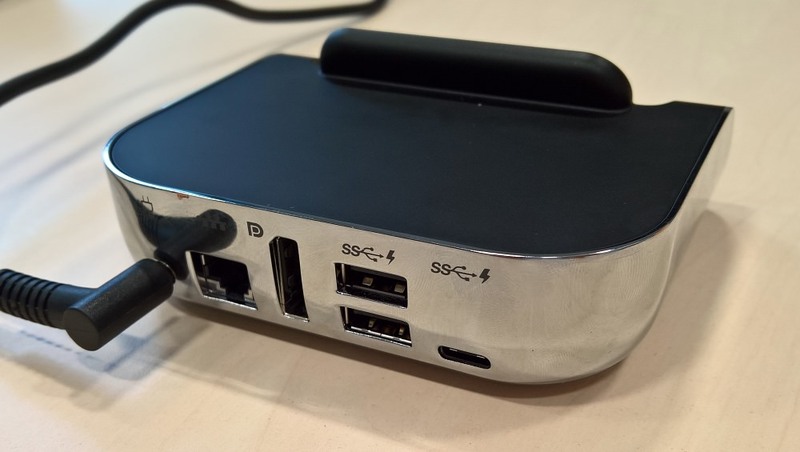 the HP Desk Dock is powered, as you'd expect), an Ethernet jack (giving the Elite X3 full wired Internet while docked), DisplayPort (for hooking up to a suitable desktop monitor, plus HDMI adapters are trivial to source), two USB Type A ports (ostensibly for wired mouse and keyboard, though you can also plug in a USB 3 hard disk or similar - some trial and error will be needed once we have final hardware), plus a USB Type C jack (for daisy chaining to another compatible device). The dock was nicely weighted and, as with the phone itself, seemed very close to final retail hardware. 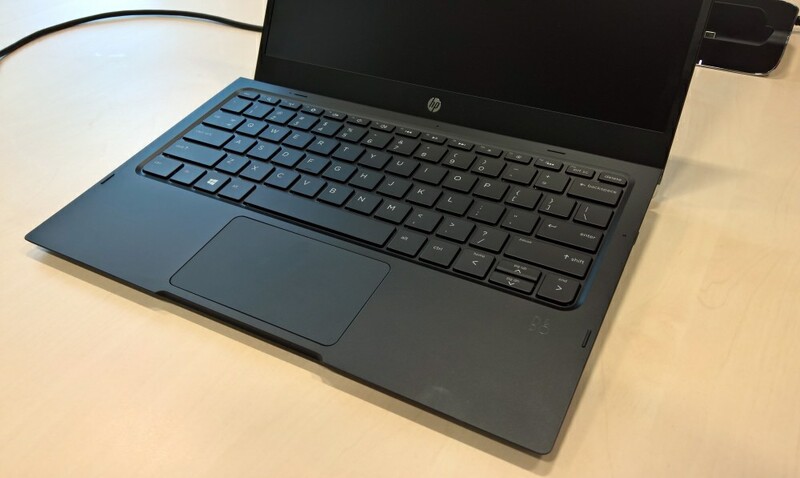 Originally the 'HP Mobile Extender', sanity has thankfully prevailed and the new official name is the 'HP Lap Dock', fitting in what the rest of the world is calling these 'dumb' connected laptop shells. 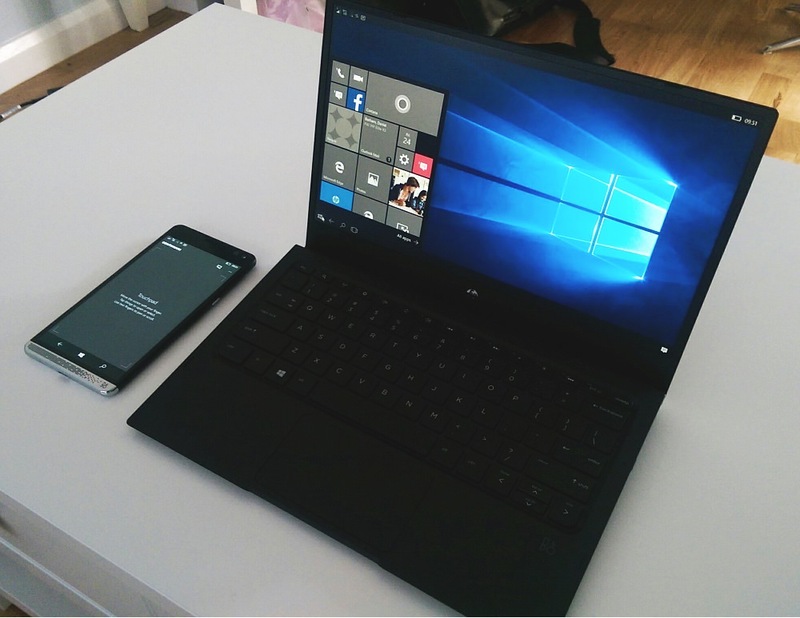 The idea is that, while connected, either wirelessly (Miracast, over Wi-fi) or with a USB Type C connection, your phone's Windows 10 Mobile installation uses the Lap Dock's screen, keyboard and trackpad. Technically, it's a secondary display (in that the phone screen carries on working independently), but it gives a Windows 10 laptop experience. At least if you're content with the built-in applications and Continuum-compatible UWPs (of which there are a growing number). We've been over the benefits of the Continuum lifestyle many times, but essentially you can have a more joined up experience because everything's being driven by one chipset with one OS and you're fully signed in (and with applications loaded) on everything, without needing to authenticate to everything via a separate laptop or similar. The HP Lap Dock we saw was pre-production, i.e. a prototype, but still well made - the trackpad was the only component which was noticeably 'not retail', and this bodes well for the final accessory. It's mainly aluminium and dense polycarbonate, giving it good strength and yet light weight, with a hinge set in slightly from the back that raises up the keyboard when opened. We see what looks like micro-HDMI out (though didn't have an adapter to try this), USB Type C in (typically when using the Elite X3 or another Continuum-compatible phone), power switch and a 3.5mm headphone out jack. There's a row of LEDs for indicating the remaining charge in the integral 48WH battery (the exact capacity in mAh isn't known as we don't know the internal voltages used), with a button to press to light these up, to check. 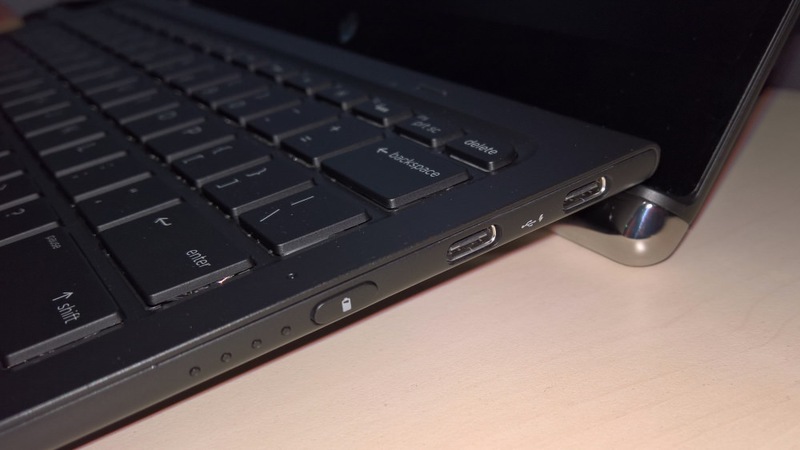 Then two extra USB Type C jacks - HP has gone all in on the new standard. These can be for flash disks, hard disks, and so on, though you might have to source a Type A to Type C adapter cable! The two photos abve do show quite well how the rear portion of the Lap Dock 'lid' rotates round to form a stand to angle the keyboard up - it's neat and solid. When closed, the HP Lap Dock is very solid indeed, as you'd expect with a mainly aluminium build, somehow I don't think this is going to be a cheap accessory. But it could be a darned useful one, especially for completing HP's vision for mobile computing going forwards. Comments welcome then. Does all this tempt you, the Microsoft/Nokia Lumia fan away to a whole new brand on your favourite OS? Would you use the Lap Dock? And, if you're in a company set-up, could you see HP's vision working out? PS. See also my specs-based comprehensive comparison between the various Windows 10 Mobile flagships.